At The People's Burger, we pride ourselves on sourcing fresh and local ingredients to craft our grilled-to-order burgers. We exclusively use grain-fed Northwest beef for our handmade patties. Our thick fries are hand-cut every day and all of our sauces are made in-house. You'll also find we like to throw specials into the mix, like slow-smoked pulled pork, BBQ beef brisket, Greek grilled chicken, fire-roasted shrimp tacos and fire-grilled sausages. 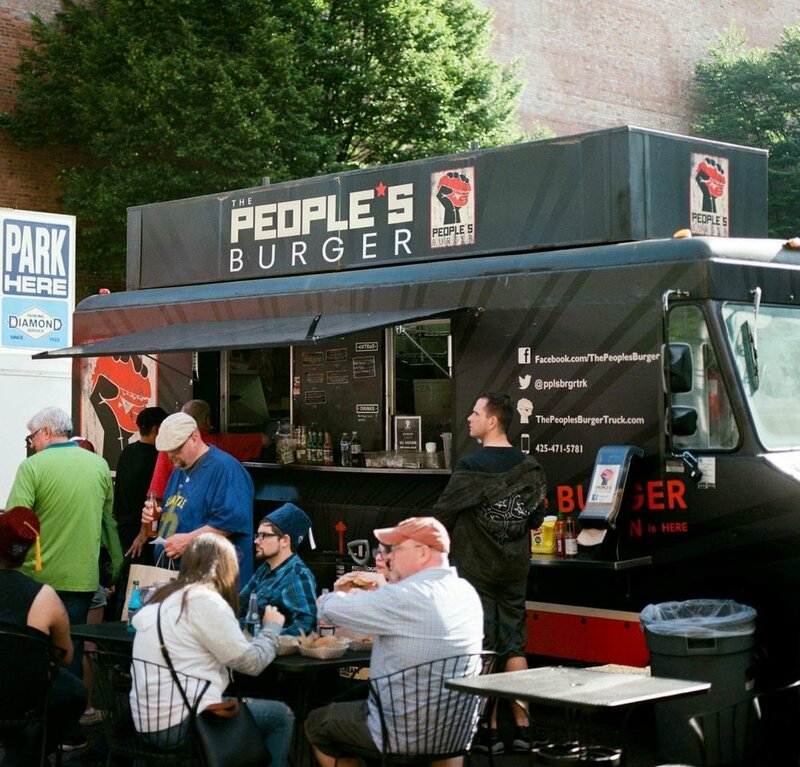 Catch The People's Burger food trucks on the streets of Seattle, on campus at UW Bothell and near the stadiums for Seahawks, Mariners and Sounders home games. 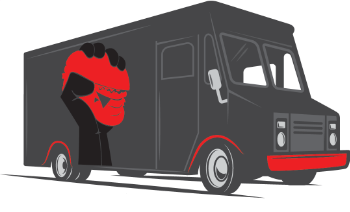 Planning a company event, graduation or birthday party, fundraiser or wedding reception? The People's Burger is happy to help you celebrate. And we make the planning fun and easy. We promise delicious food and a friendly, experienced crew. Together, we create a customized menu of entrees, sides, small bites and desserts that's a perfect fit for the occasion and your budget. Treat your people to The People's Burger. Complete our catering form to tell us a bit about your event. We'll be in touch within two business days. Follow our social accounts for updates!